This discussion would have continued, but the front door to the vicarage slammed. Then the door to the parlour burst open and Miss Fowler shot in. Then as suddenly as she appeared, she retreated. They heard her run up the stairs to her room, then the door slam behind her. “What was that about?” Rachel asked. Rachel rushed to follow George, only to see him sprint away along the High street. She turned and ambled her way back to the vicarage. I suppose he knows what he’s about. The wailing only grew louder, Elizabeth less consolable. They both listened to Elizabeth’s sobs, muffled by the walls, but real enough evidence of her distress. It’s been one of those “interesting” times. Hence the gap of almost two months. I … we could do with less excitement in our lives at the moment. One of the better excitements was one of us winning an award for best paper at an IEEE meeting (NAFIPS). It’s crazy technical stuff, but here’s a link to the slides if you’d like to see them. Author rharrisonauthorPosted on October 29, 2017 Categories A Formulaic Romance, Chemistry, historical background, WritingTags England, Historical Novel, regency, Writing4 Comments on Sunday Snippet, Consolation. “Lord Hartshorne, yes,” George said with a peculiar dry tone to his voice. Rachel thought However apparently not yours. No history this time. Instead, a question about writing. It’s beginning to look like Amelia and I are really writing a series. “The art of deception” is volume 1, “The Divinity School” (working on a cover) is volume 2, Volume 3 – tentatively called “O Zeitung O Mores” is about half complete. This work is volume 5, and volume 6 “Freddy and the Bird of Paradise” is well underway. No idea what we’ll call volume 4, but since volume 3 takes place in 1811 Hamburg and parts beyond – including Aarhus, and this one is 1816 or so there’s a gap. Is it ok to release a series out of sequence? By the way, O Zeitung O Mores, is a bad pun on the epigram O Tempora O Mores (The Times, The Morals). Author rharrisonauthorPosted on September 10, 2017 Categories A Formulaic Romance, Chemistry, historical background, WritingTags England, Historical Novel, regency, Writing8 Comments on Sunday Snippet, Complications. I’ve been queuing up a series of walks – mostly about 10 km (6 miles for us colonials), and this is the second. 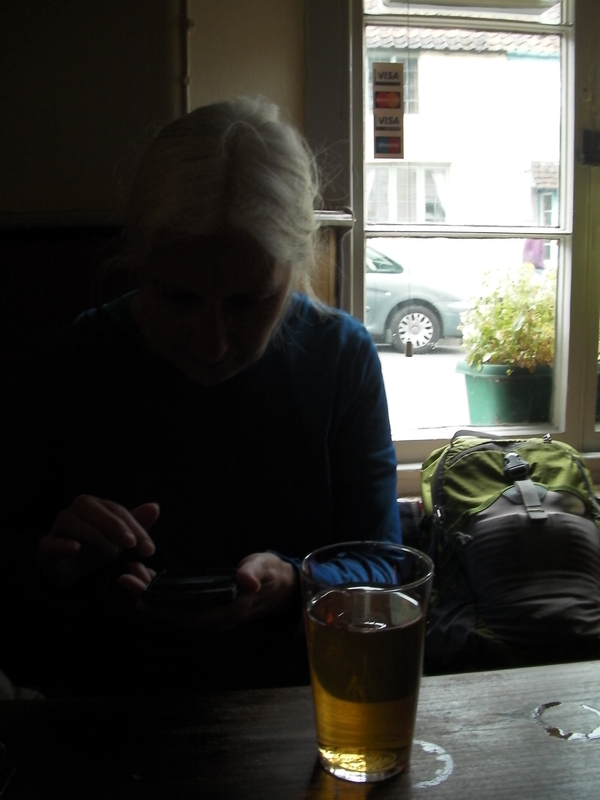 This started out as a “pub walk” from the house we hired in Wootton Courtenay – and we did get to one, about seven miles in. 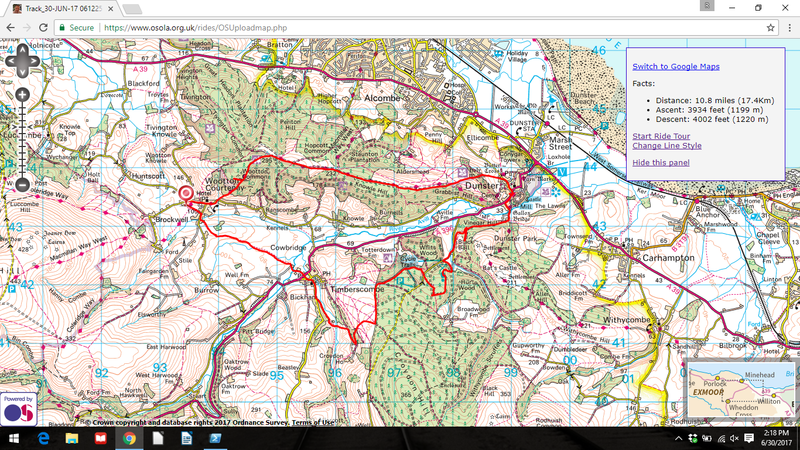 After several missed turns and places where the map … deviated from the trails on the ground. 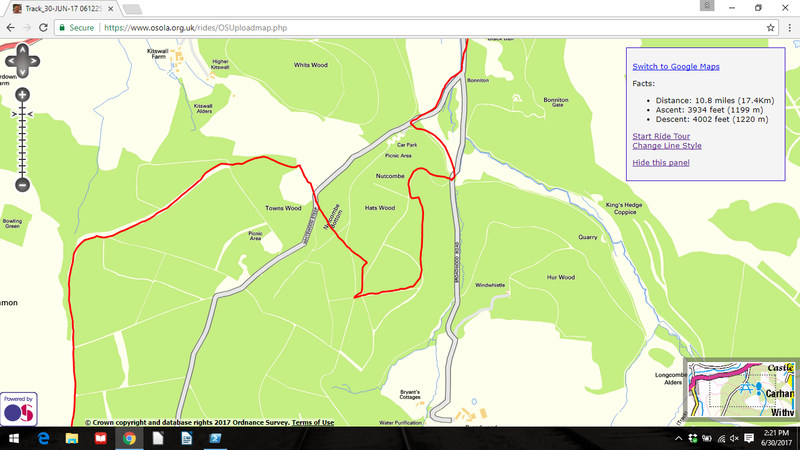 This shows our GPS trace overlaid on the most current Ordinance Survey map. These differences made it a bit interesting. 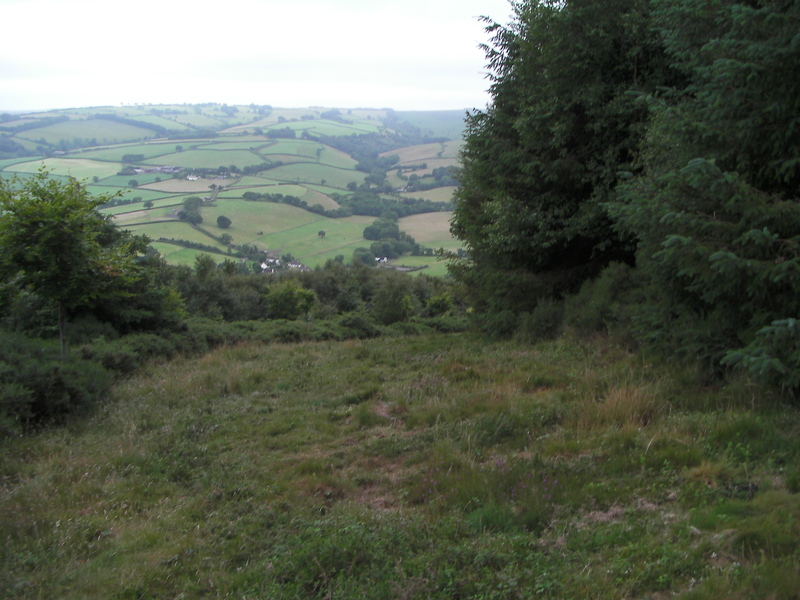 I covered the first part of the hike on an earlier post where we hunted a local pub. So you can read that post for details. 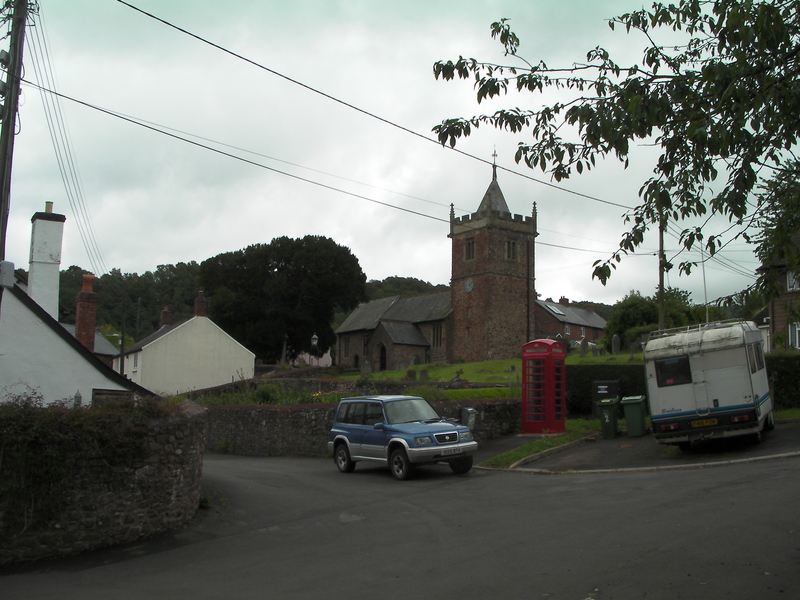 We take this walk up at the village of Timberscombe. 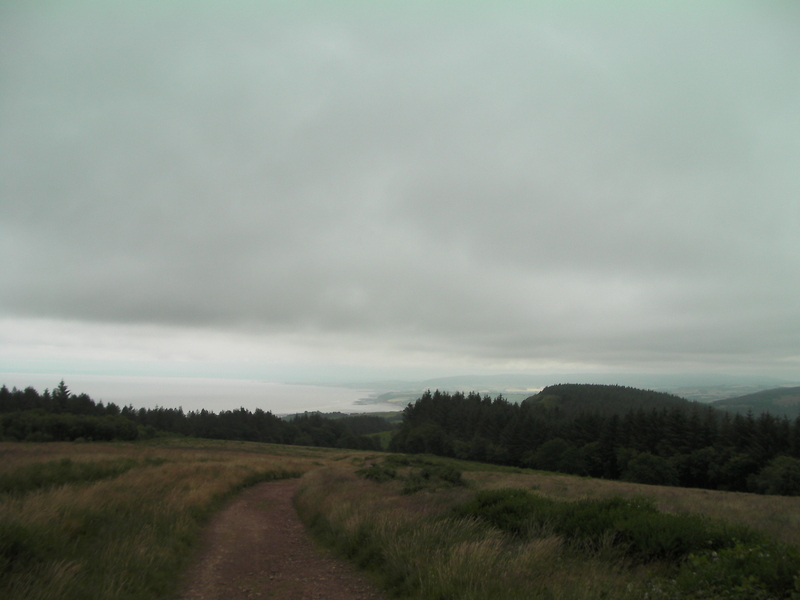 We headed uphill on the wrong road, but eventually found our way to where we could see Dunster in the distance. 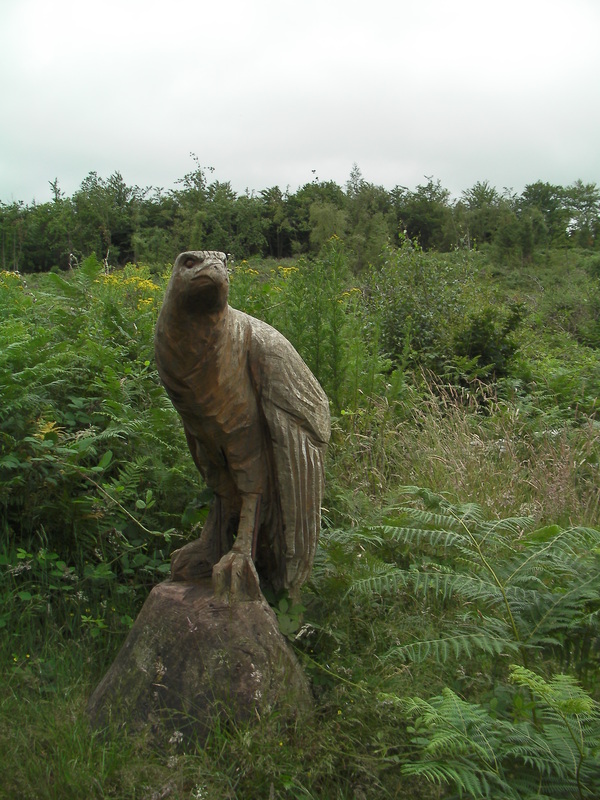 If you get to this carved bird (the buzzard), you’ve gone too far. Some of the local landmarks have a decidedly sci-fi name. 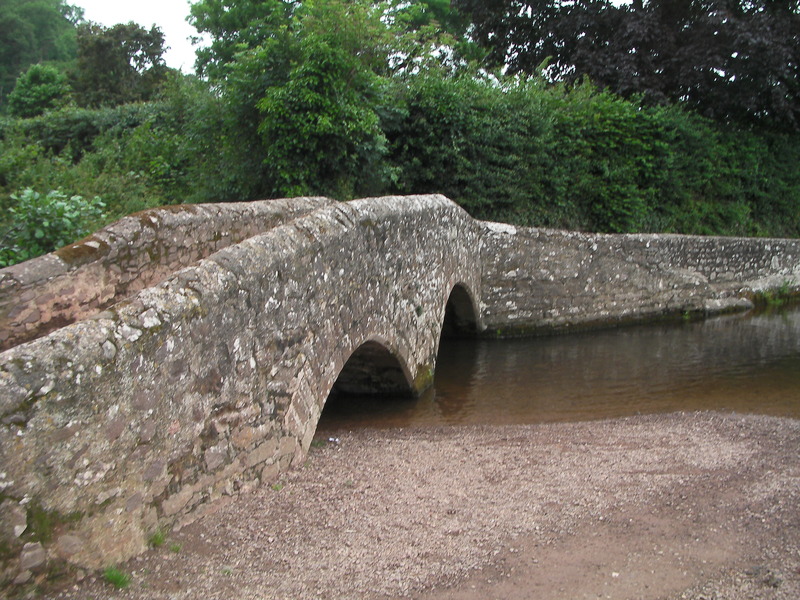 Is Gallox bridge in Gallifrey? The path heads uphill, of course, from the town. 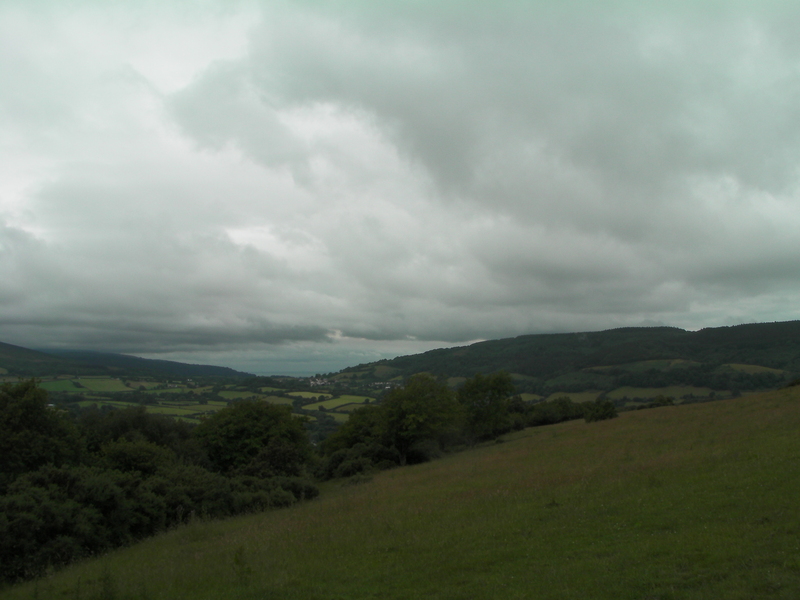 It winds its way past St. Leonard’s well (Shades of Blackadder) along a ridge. 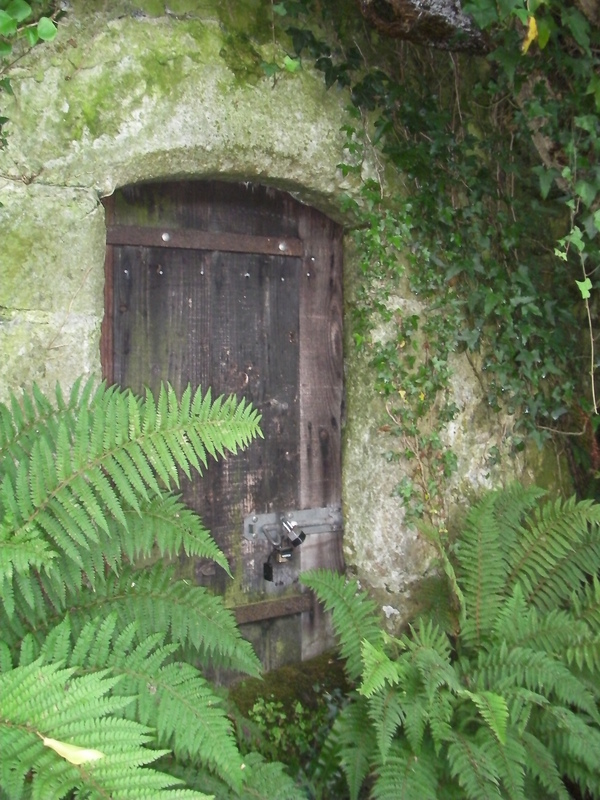 St Leonard’s well. Locked, but making the footpath mucky for the last thousand years. 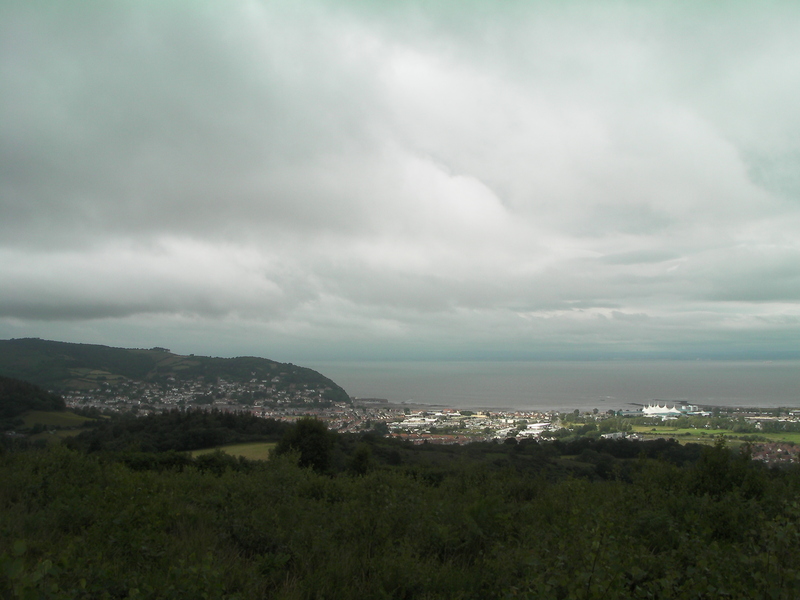 There is an excellent set of views of Minehead from the exposed ridge. The sun is shining on Butlin’s holiday camp. 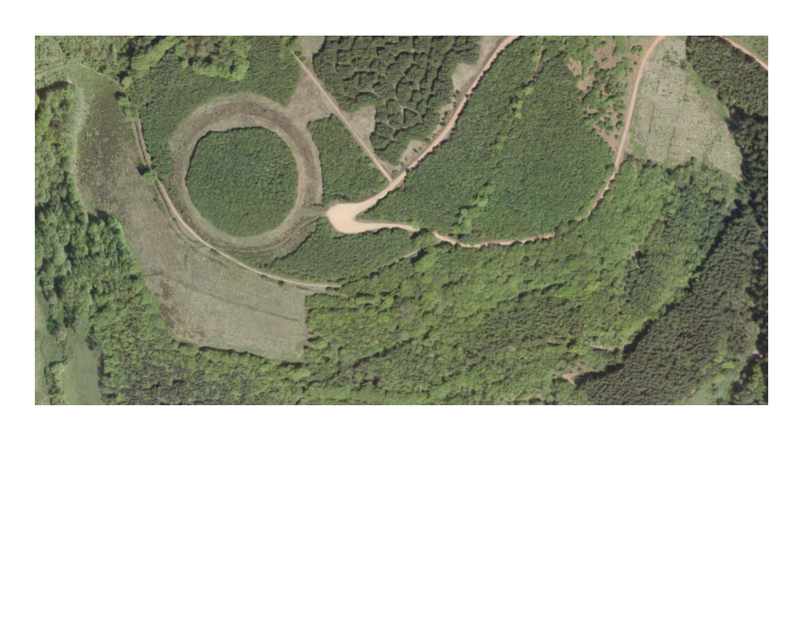 We also wanted to look for this weird feature – seen on google maps. Rupert showed he has something that connects his shoulders to his hips. Last week, the start of a new chapter shows that another of his talents is important. We discovered why it was so important that Rupert come with Sir Roger recently. Rachel awoke below decks in a ship (a channel barge). Despite the sterling reputation of the English as cooks, the crew ask Rachel to cook for them. Her choice of seasonings has their desired effect. The morning after she gave thanks for her deliverance she writes to let her friends know where she is. Things, however, are afoot and the game is on. Elizabeth gushed her agreement and pranced upstairs to retrieve a spare bonnet and pelisse from her closet. Rachel followed Elizabeth out of the house as she raced off. It’s only a letter, what could be so important? Stunned, Rachel stopped where she stood. I know that name, Richards, that was the other alias. I’d say wise, a good judge of character. “I’m sure he only wants the best for you.” Damn, now I am going to have to tell your parents. When they arrived at the inn, just off High Street in the centre of the village, Elizabeth found a letter waiting for her. She gladly paid her shilling, quickly gave it a kiss and went off to read it, alone. It was Mr Oliver, or Harding or Richards. I hope that’s in time. “Thank you.” Now to warn Dr Fowler. It’s been more than 200 years since Waterloo and people tend to forget just how wrenching the Napoleonic wars were. It truly was a world war with the same dislocations and disruptions that occurred in the 20th century. To support this effort the British government re-organized in ways that would have been unbelievable in the 18th century. Clerks had to pass civil service exams – no longer could you be appointed based on who you (or your father or uncle) knew. You actually had to be literate. Supporting a world war required minimizing (although not eliminating) a great deal of graft and jobbery. Reforming “purchase” would take another 60 years or so, but the reforms made the British soldiers and sailors the best fed and supported fighting men that the world had seen. It showed when the tide turned against that dastardly Corsican. 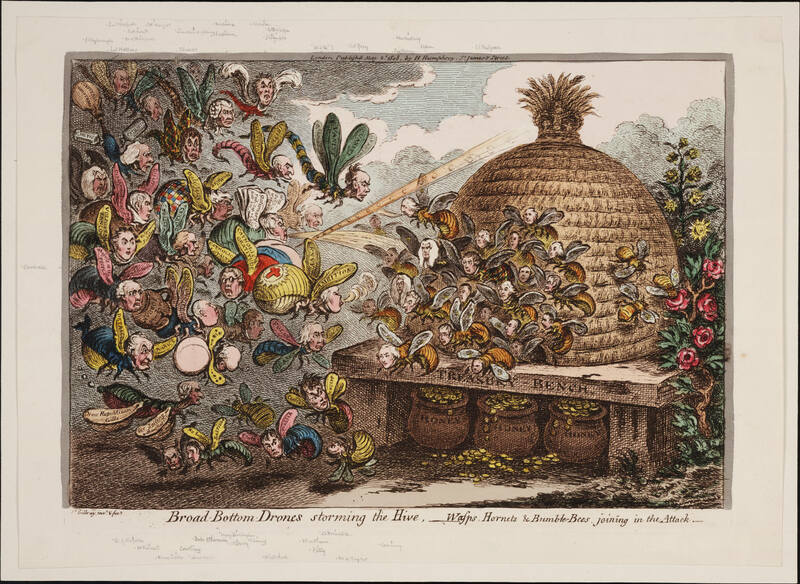 This Gilray cartoon shows the political storm – figuratively bees fighting wasps (and other creatures) to preserve good governance.